Lauren Tyler: In 2004 I left my job and life in New York City to travel for a couple of years and started with a three-month road-trip around the United States. I had decided to take a lot of photos along the way to document my experiences, what I was seeing, etc. At first the photos were just snapshots, but after a month or so something clicked in my head and the endeavor became a creative outlet for me as well. What camera and equipment to do you use? I learned to take photos using a Sony Cybershot F828 digital point-and-shoot I purchased back in 2004. I currently use a Canon EOS 5D Mark I and will likely upgrade to a newer version at some point in the near future. My favorite lens is probably the 50mm f/1.4 due to its size, excellent low-light performance, and “buttery” bokeh. That said, I also love the 16-35mm f/2.8L and occasionally the 70-200 f/2.8L when its weight and obtrusiveness aren’t issues. Because I do mostly street photography, I rarely ever use flash. Photography is very personal for me and comes from my desire to visually articulate something that has affected me emotionally, but it can also be something purely aesthetic in terms of composition, color, and style. My ultimate goal is to try and capture both in the same photograph — to convey some sense of meaning, and to do so in a way that’s aesthetically pleasing. I am self-taught. I know very little about the technical specifics of cameras and different photographic techniques. In general I’ve always learned more easily by doing. Andre Kertesz and Henri Cartier-Bresson immediately come to mind, for both their near-perfect compositions and for the humanity and emotion I see in their photographs. Also, Steve McCurry, for his stunning oeuvre of work. You have an extraordinary eye for composition, light, and style as reflected in your work. For example, the opening image at the top is a fantastic family portrait. Can you give us some background on these images? 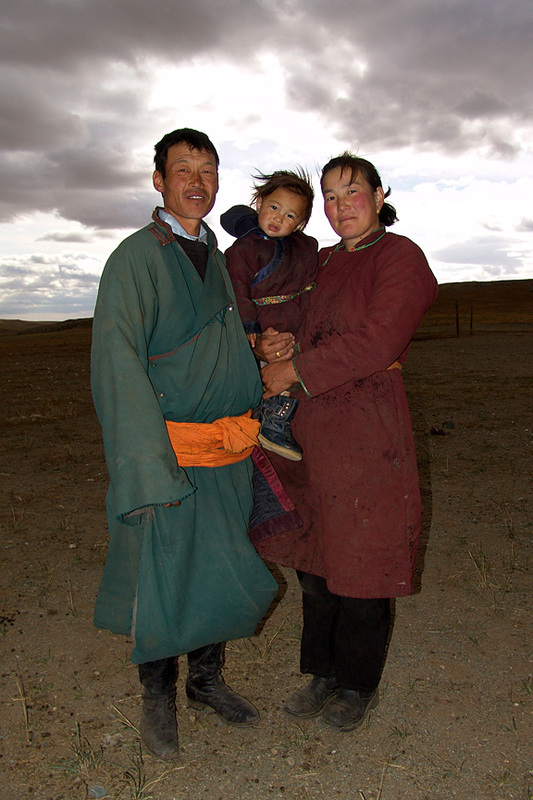 The opening image at the top is one I took of a beautiful family in the Gobi Desert. 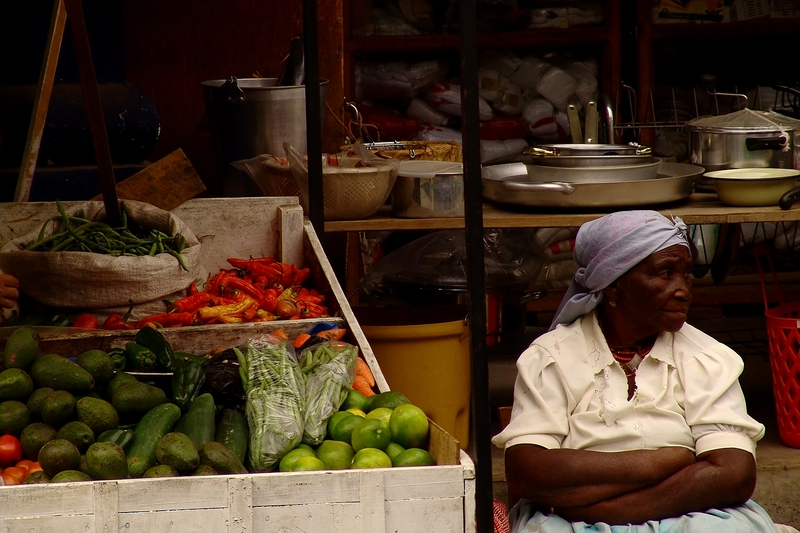 Produce Vendor – Otavalo, Ecuador: I saw this woman selling produce while walking through an outdoor market in Ecuador and I was instantly captivated by her. I love her intense focus, the way her arms are crossed, and how she’s sitting. Visually, I like how part of the stand’s support structure cuts through the frame, the vibrant colors of her produce, and the natural lighting. 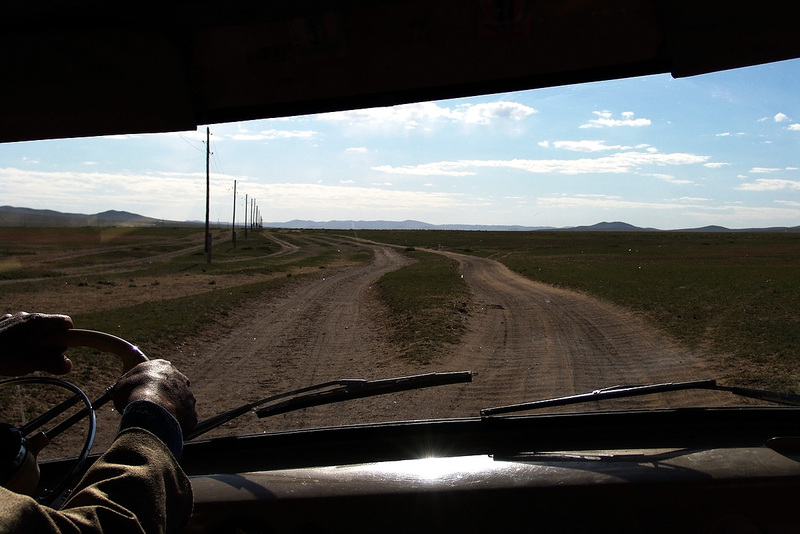 Ochiroo’s Hands – Near Ulaanbaatar, Mongolia: Four other travelers and I hired a driver with a Russian minivan and a cook for a 900 mile trip through the Gobi desert. We stayed in gers owned by nomadic families, rode horses and camels, and explored an area with one of the world’s lowest population densities. This photo was taken at the outset and attempted to reflect the excitement and anticipation I had for the experiences ahead. I really like the almost determined look of the hands on the steering wheel and the idea that they were shepherding us into the unknown. 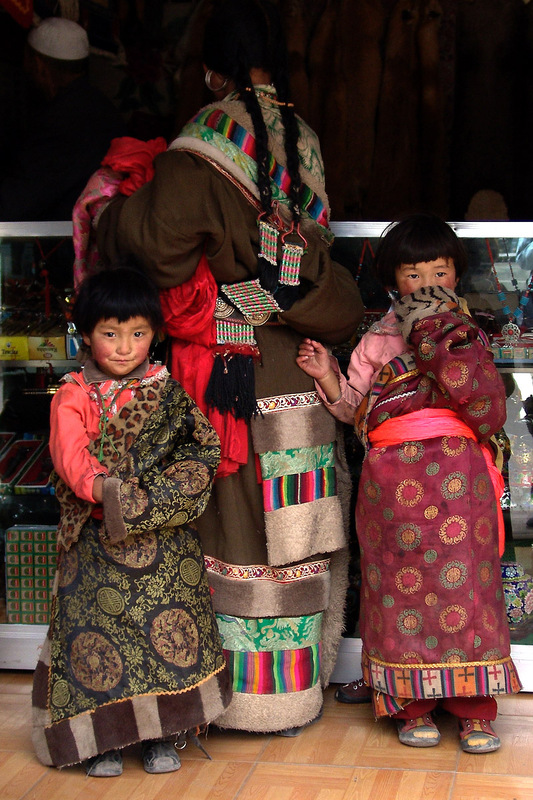 Tibetan Family – Near Xining, China: This was taken near the Ta’er Si (Kumbum) Monastery. I couldn’t get over how pretty their vibrant clothes were. The children seemed almost as fascinated by me as I was of them, while the mother was busy transacting and didn’t know I was there. The boy had an almost defiant look on his face, while the girl seemed a little shy. There was also a third child who completely hid behind the girl whose foot you can just see sticking out from behind her. Your work covers more than one genre. Which genre do you enjoy shooting the most? Where do you plan to travel next with your camera? I enjoy street photography the most and, more specifically, I love photographing people. There’s an infinite variation that people have in their emotions, postures, facial expressions, dress, and their settings. I’d really love to go back to China. Despite spending almost two months there, I only barely touched the surface of its rich culture and geography. India is also very high on my list of places to visit. Take lots and lots of photos. Shoot compulsively. I really think it is the best way to improve as a photographer. For more information about Lauren, visit Flickr. All images © Lauren Tyler.